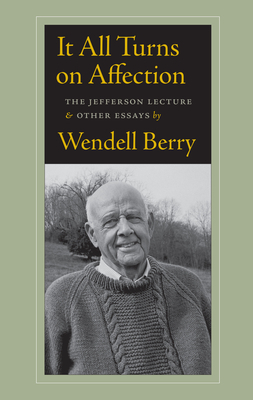 When he accepted the invitation to deliver the Jefferson Lecture--our nation's highest honor for distinguished intellectual achievement--Wendell Berry wanted a fresh start, not only in looking at the groundwork of the problems facing our nation and the earth itself, but in gaining hope from some examples of repair during Late Capitalism. The result is the greatest speech he has delivered in his six decades of public life. With this transcript of his speech, along with heretofore uncollected essays, It All Turns on Affection will take its place as another major testament to Berry's contribution to American thought.